Mehdi in reception was the only good thing about this hotel. He was exceptionally friendly, professional, courteous and helpful in providing recommendations on public transportation, sights to see and places to eat. The staffs are friendly and helpful. They helped us booking a taxi very early in the morning. Hotel was a 5 minute walk to the Metro. Local open air produce market at Metro location on Sunday. Parking in tight garage for daily fee was available. Room and bathroom were clean. Had smoke free room. When trying to get help, the staff was ok. But they did not have much power to do stuff. I was lucky to have been there in a day where there were lots of empty rooms and then we could try to find one with aircon that worked more or less. 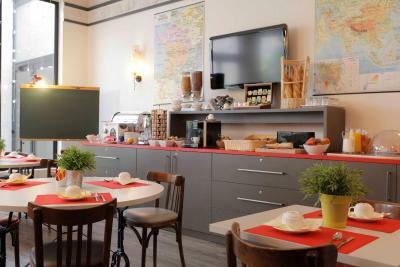 Good breakfast, clean rooms, and the location is within easy walking distance of central Lyon, which is a very fine city. 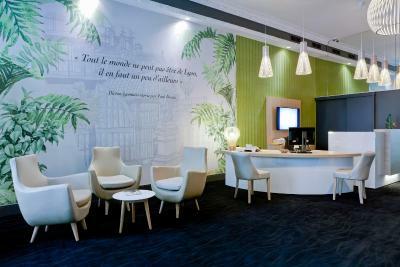 The staff were INCREDIBLE--superbly helpful in helping getting things straightened out with British Airways and St. Exupery Airport after a mess-up on departure times. Great people. Hotel was next to a grocery market and a nice restaurant. 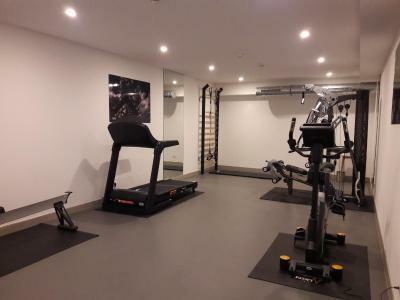 Very close to public transport and walking distance to a large mall . Very helpful and friendly staffmembers. 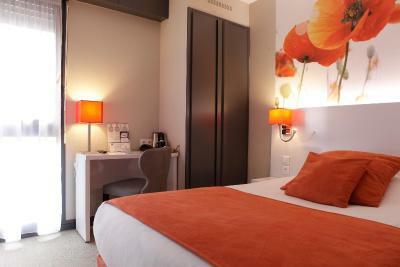 This hotel is exactly what it is - a convenient place to spend the night before a morning flight out of Lyon. 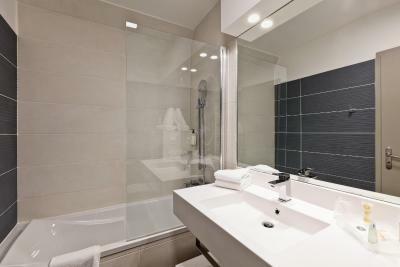 It is modern, clean, efficient and the staff works hard to be friendly. 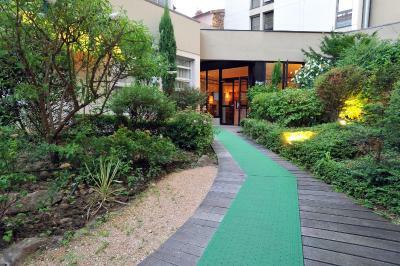 It's a short walk from the Lyon Metro through the airport to the hotel and a shorter walk from the hotel to the boarding gates. Good choice of goodies for breakfast. The staff was INCREDIBLY splendid--very helpful in straightening out some of my problems with British Airways! They could not have been finer. 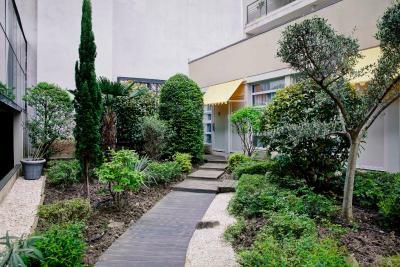 Also, a good location---within easy walking distance of Vieux Lyon and the downtown area. 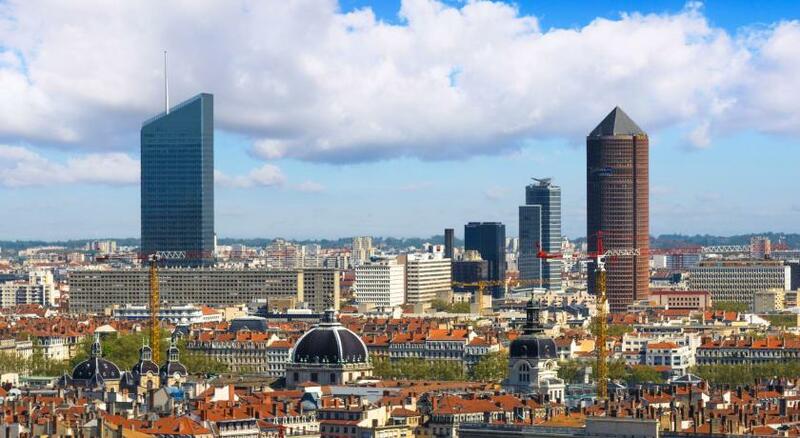 One of our best sellers in Lyon! 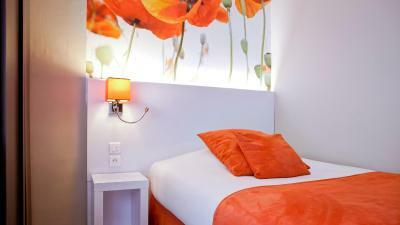 Best Western Crequi Lyon Part Dieu is located in central Lyon, just 0.6 mi from Lyon Part-Dieu TGV Train Station. 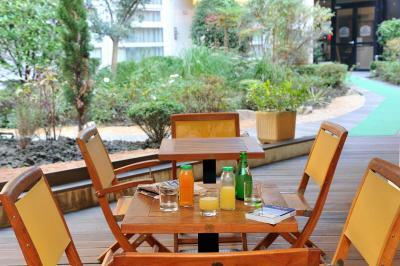 It offers a 24-hour reception and bar, an interior garden and free WiFi access. 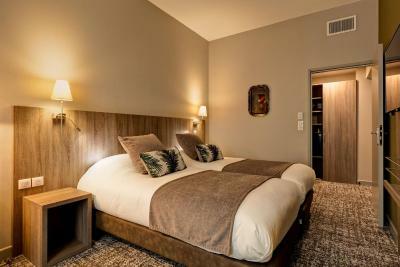 Crequi Lyon provides modern, soundproofed guest rooms and suites. 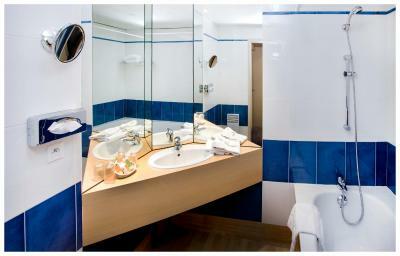 They are equipped with air conditioning, flat-screen satellite TV and a mini-bar. 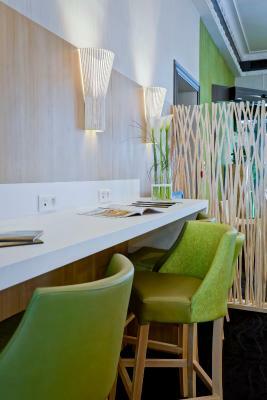 Best Western Crequi Lyon Part-Dieu serves a daily buffet breakfast. 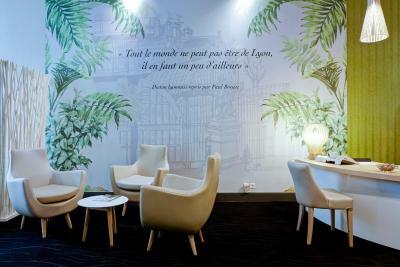 Its restaurant, La Cantine du Palais, is open from Monday to Friday and offers traditional dishes using local produce. 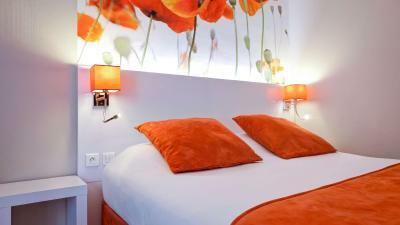 The hotel is only 500 feet from Place Guichard metro station and 350 feet from Palais de Justice Mairie Tram Stop. 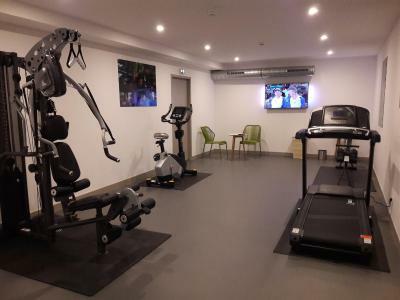 Private parking is possible on site for an additional charge and Lyon-Saint Exupery Airport is 12 mi away. 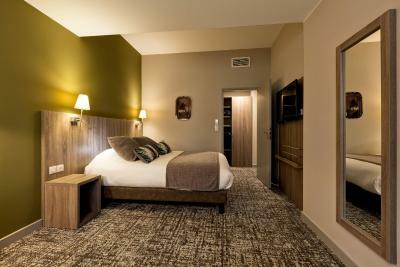 When would you like to stay at Best Western Crequi Lyon Part Dieu? 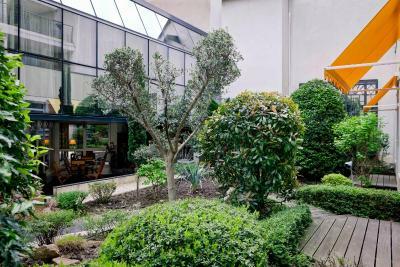 House Rules Best Western Crequi Lyon Part Dieu takes special requests – add in the next step! 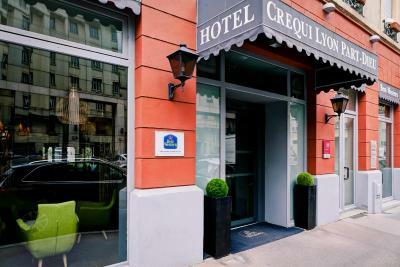 Best Western Crequi Lyon Part Dieu accepts these cards and reserves the right to temporarily hold an amount prior to arrival. 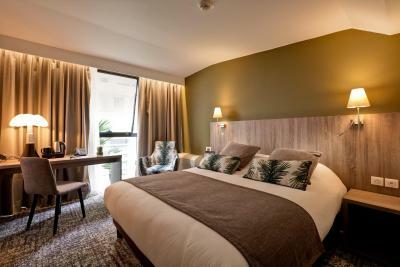 Please note that the lobby and comfort and standard rooms were renovated in April 2016. Please note that the laundry service is only available on the weekdays. 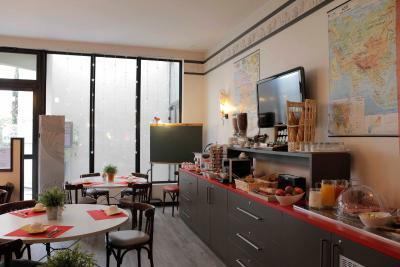 Please note that an express breakfast is available for EUR 7.50 and includes hot drinks, orange juice and pastries. Please note that guests are to provide credit card details upon check-in. If you are unable to do this, please contact the property in advance to find an alternative solution. 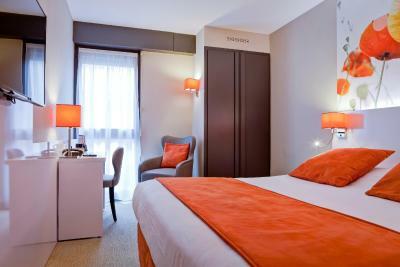 Please note that guests must show the credit card used at the time of booking upon check-in. If guests cannot provide the same credit card, the reservation may be canceled. The hotel has a very good access to both the new city centre and old town and most of the tourism places are within walking distance. The receptionist of the hotel was very friendly and helpful, who made my stay a warm and pleasant one while I was travelling alone this time. There was a bottle opened and used of the last client in the bath room. The breakfast was a little bit poor. Staff is superb. All the guys I had the chance to meet at the reception were top. Price of the hotel parking area which is twice the amount of a 50m public park for a night. For this reason we preferred to leave the car there instead of using the hotel parking. 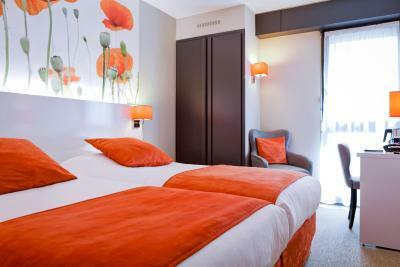 I spent a day in Lyon for business and the hotel is surely a good choice. 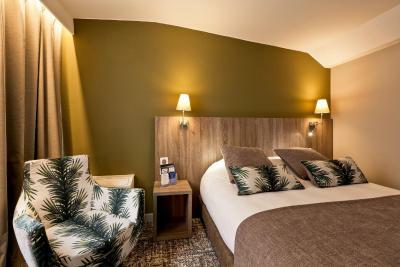 Well positioned, very good cleanliness of the room and a nice breakfast (it is worth to be mantioned the fresh orange juice). 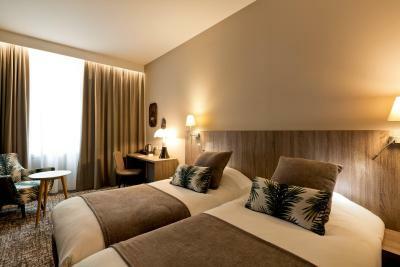 Great bed, nice decoration in rooms and lobby. Smallish rooms, but good nonetheless. 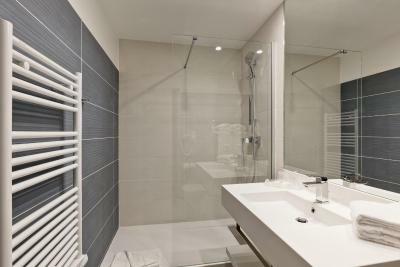 Only room issue was the shower, and it was minor. Shower head should have been mounted but the place where you would put it was broken. Still worked but had to hold the shower head and hose. Did not bother reporting it. Competences of staff who works in breakfast room could be improved. I asked for a fresh orange juice and they told me i had to do it by myself. Cost of the breakfast 15 euros!!!!! All the corridors smells of urine and was very dirty ! Cold rooms, safe wasn’t working. Lifts small and dirty as well. Save yourself from big disappointment! The room was very small and the floor covering was uncomfortable to walk on. The rooms are a bit confusing to find and the flickering corridor lights make it borderline creepy. 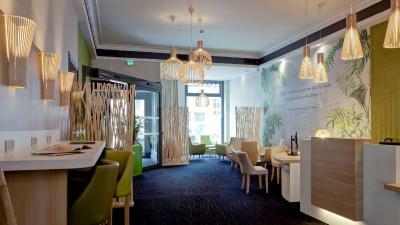 Location was central and the reception staff were pleasant. The bed was comfortable. Next time I hope they do not make a pre-authorisation of 2500euro on my credit card for one month, that was really inconveniant and they did nothing to reverse that. Also making a flexible reservation 1,5 years up front didn't work out because when I wanted to adjust the room(s) they said that I could but only at the current room-rates which was exactly why I booked flexible rates 1,5 yrs ago. The room was small but comfertable as was the bed. Pillows to flat but it's never good, they provided two extra pillows so that was great. Staff extremely helpfull, parking below hotel was perfect but be careful, I just managed to squeeze my Mondeo in. Room was quiet and perfectly dark at night. Walking distance from all important things such as the station, shopping mall and also the old centre with it's lovely restaurants that can also be found close to the hotel. 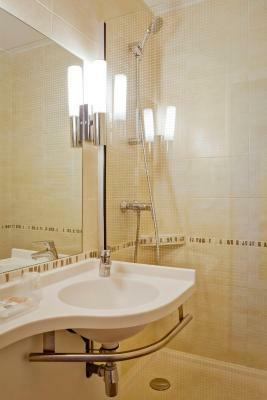 location was great and bathroom was great and spacious. all good no complains.